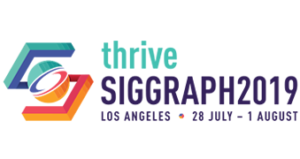 SIGGRAPH presents two annual conferences, one in North America and one in Asia. Premier status as measured by community loyalty, contributor quality, external recognition, and competitor response. Leading edge as recognized by discipline experts and the industry at large. Effectiveness of education, interaction, and excellence as measured by contributor, committee, and community satisfaction and involvement. Sustainable continuity as measured by volunteer commitment, community interest, and financial self-sufficiency. At every level and focus, community contributors and supporters willingly give their energy and resources for the essential value of a fulfilling conference experience. To preserve this natural resource and remain viable, SIGGRAPH conferences must recognize, encourage, and reasonably support the effective participation of their constituents. SIGGRAPH conferences promote excellence by attracting and delivering high-quality results in a variety of disciplines. High standards for integrity, content, presentation, and experience support the attainment of conference goals. Quality should outweigh quantity in all decisions. Boundaries between disciplines are barriers to mutual enrichment, appreciation, and growth of the SIGGRAPH community. Whenever practical, conferences encourage the bridging of disciplines to expand their contribution to the leading edge of theory and practice. SIGGRAPH conferences continuously strive to improve processes and results that support community satisfaction. Wherever possible, past experience and feedback should frame opportunities for structured risk taking when it furthers conference goals.